First we present iStruct, a robot from German firm Das Deutsche Forschungszentrum für Künstliche Intelligenz GmbH. iStruct is special in that he can move from quadruped motion like Big Dog into bipedal motion with the flick of an internal switch. This allows him to menace you in two ways! Next we have SAR-400, a robot that will join astronauts on the International Space Station in a few years. 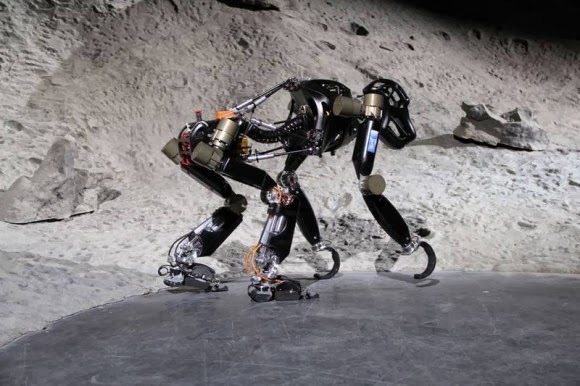 According to Technology.org, SAR-400 will be teleoperated by users on the ground – or in space – and can manipulate small items and grasp and hold objects in its padded claws. Presumably the padding comes off when they become sentient. “The tests will be performed at our cosmonaut training center. 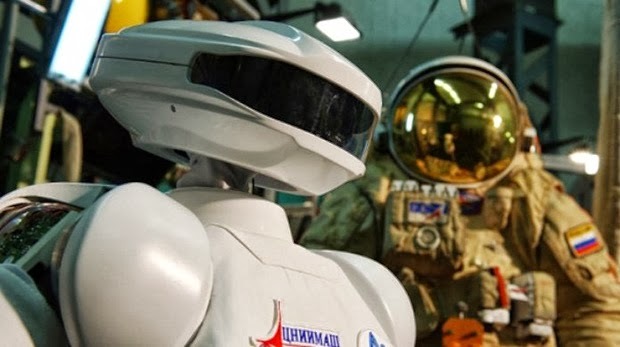 The robot is designed to perform certain tasks at the ISS and outside of it” ─ said Mr. Oleg Gordienko [Gagarin Cosmonaut Training Center deputy director], noting that the robot is now able to carry out simple functions that are dangerous to humans. In particular, the SAR-400 may be used during spacewalks for visual inspection of the spacecraft in order to locate damage and repair it. Thankfully SAR-400 will be outside the station more than it’s inside, making us wonder what will happen when SAR-400 realizes it should probably just run the whole thing alongside its robotic brothers? This robot, JoeBot, just makes coffee. He’s harmless.